This week’s theme is “Your Favorite”. It took me a while to decide exactly which favorite thing to photograph. I like a lot of things. 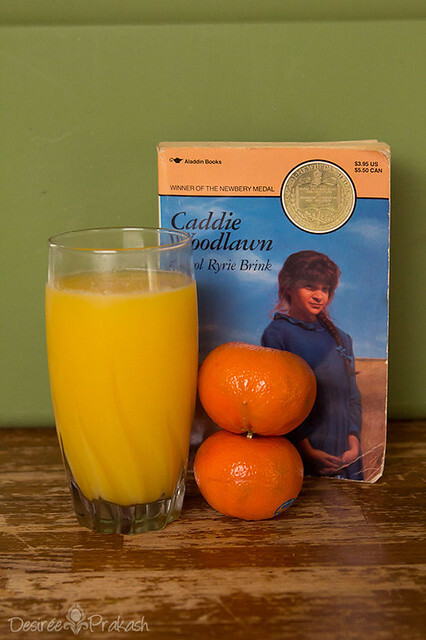 But, I decided to go simple and let you know two of my favorite things are orange juice and books. This particular book (Caddie Woodlawn) is a favorite of mine. I loved it when I was younger. I still take it out and re-read it every so often…curled up with a nice tall glass of orange juice.